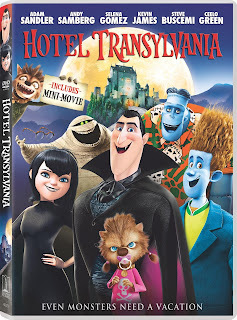 My daughter loves the hotel transylvania series! Im going to try my best to take her to see #3! I will be seeing it with the girls. I will be taking my kids to see this when it comes out! I do have plans to watch this movie when it comes out. It releases on my son's birthday so it will be a nice birthday present to take him. I do have plans to go to this movie when it comes out. We will probably wait to see it via DVD. i loved the 1st two so yeah i'll be checking out the 3rd. I am taking my niece to see it! It looks like it's fabulous! 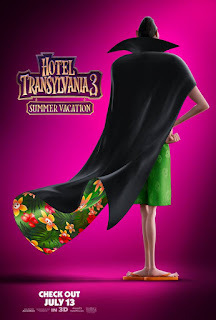 We went to the movie theater the other night and saw previews for Hotel Transylvania 3, and our kids were so excited,so yes we will definitely be going to watch it when it comes out. No, we won't see it in theaters, probably. But I know we'll see it on the small screen! We do plan on seeing the movie when it comes out! I'm not sure who is more excited, my kids or my hubby! I plan to see this with my grandsons. I will watch Hotel Transylvania 3 with my grandson when it is released on DVD. I will watch it on dvd when it comes out. I rarely go to the movies and when I do go, it is to the Drive-In. My kids love the first 2 movies and watch them at their grandmas. We will definitly be going to see it. We loved 1 and 2 and can't wait. I would like to see this movie on dvd at home. Yes plan on seeing this movie in the theater. 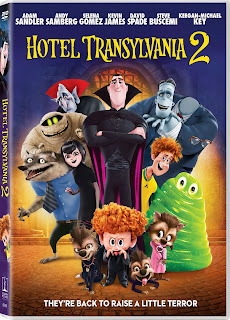 I would love to take my grandson to the latest Hotel Transylvania movie. I plan to see Hotel Transylvania 3 but not in the theater. Definitely plan on seeing it! My daughter loved the first two films! Thanks so much for the chance! We will go see it! I love these movies. I look forward to take my nephew to see this movie as we have done on the earlier releases. Yes, we have plans to see it in the theater when it comes out! Yes, I definitely planning on going to see it when it hits the theaters. My daughter and I loved the first and second one! 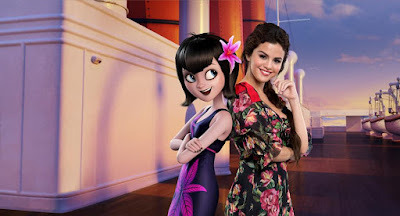 We are planning to see Hotel Transylvania 3 in the theater! Yes, I plan on taking the grand kids to see it in July. We will watch it on DVD, probably wont go to theater to watch it. Yes, I'm taking my boys! Yes, will be taking my daughters!! I would love to see it in the theaters but probably won't get to do that. :( Would love to watch it on DVD!! Yes, I'm so excited to see this movie with my 2 daughters! I cant wait to take my grandson. he is on a cruise now. i know he will love this movie! If we don't see it this weekend, we will be seeing it next weekend! My granddaughter got to see a pre-showing of Transylvania 3 and loved it, so I'm guessing I should go see it as well. I'll take my granddaughters to see it. I will be watching it with my family. Yes, it looks like fun!!! I will be taking my niece to see this movie. No plans to watch Hotel Transylvania 3 when it comes out. Still need to watch the second one. Yes, I definitely plan to watch this movie in theaters with my family! 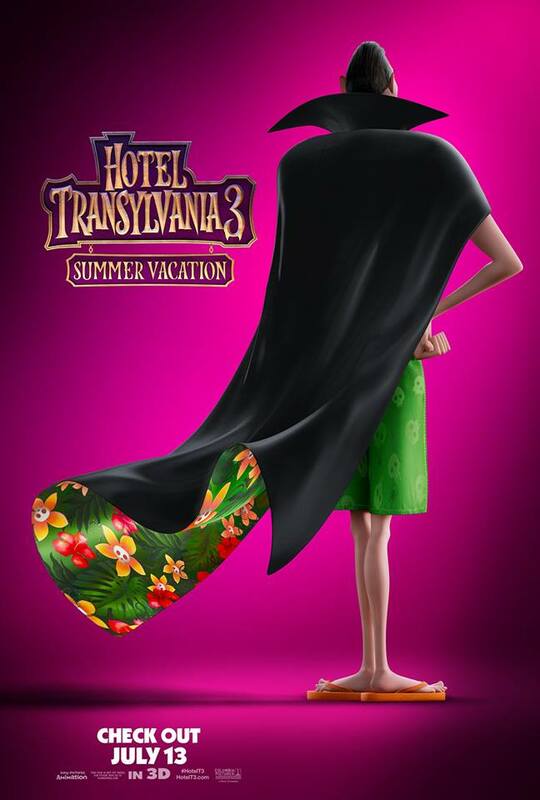 I am very excited to see Hotel Transylvania 3 in the Theater this summer! Yes, my 6 year old son has been asking to go see it in the movie theaters. I do plan to see it but will wait for it to come out on dvd. I do not plan on watching the movie, but I think my Mom will be taking my two, younger kids. We're definitely going to watch this one. Probably wait to see it when it is available on digital. We were planning on seeing it but have lots going on this month and work is very busy so not sure if we will make it to the movies or not. I hope to see it one day soon. i do have plans to see this movie. i can't wait to go see it. I would like to watch it with my grandson. Why yes, I enjoy the work of Selena Gomez! I might watch Hotel Transylvania 3 when it comes out in theaters in July. We might go see it. yes, I will probably take my grandson to see it. I'd like to see it when it at the movies. i plan to see it, but probably wait to see it on video. We are planning to see it, we love all the movies. We plan on seeing Hotel Transylvania 3. We like to go to the drive-in theater in the summer so we are hoping it is in with another good movie to see it. Otherwise we will see it in a regular theater. I just saw a preview for Hotel Transylvania 3 when we went to see The Incredibles 2 last weekend. I hadn't know it was coming out, but it looks cute and fun for summer with the kids. Yeah, I'm going to see the 3rd movie when it comes out. It looks cute. I don't have plans to see Transylvania 3 right now since I've yet to see the first two, but will see it after I've seen them. If I can't get to the theater to see it, I will definitely watch it on DVD. I plan to go see it with my kids. I want to go see it with my son. Of course we will have to watch these to catch him up! It would be awesome!! Yes, we will definitely be seeing it. We have no plan to watch this in the theater yet. No, I don't go to theatres. The last time I went a guy sat down in the theatre and started talking about the movie. I don't buy a ticket to hear someone's mouth. I want to see the movie, but I won't go to the theater. I'll have to wait until it comes to Netflix. We'll be waiting until it comes out on DVD and check it out from the library. We will probably wait until it's streaming. Hopefully, I will see it in the theater or definitely will see it on DVD.